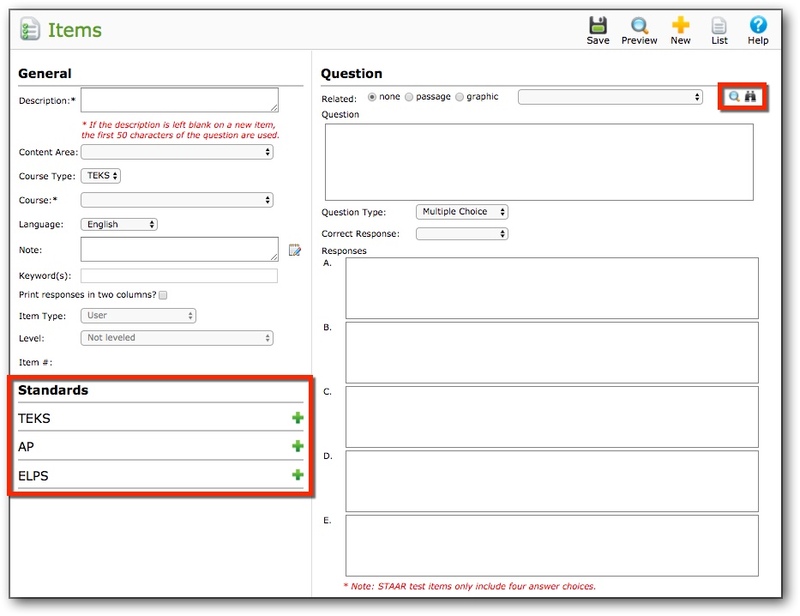 Adding new items to an online test item bank just got even easier! Long time users of TAG will remember having two separate tabs to complete when entering a new item. This process has been streamlined and all information is collected on one page. In addition, a new search feature was added next to the related passage or graphic section that allows you to filter how the results are displayed. Lastly, we have given you the option of attaching multiple standards to an item (i.e., TEKS, ELPS and AP). All in one screen! Please give us a call at the DMAC Help Desk — 1.866.988.6777 if you have any questions.